Pledges Obama Made prior to 2008 Election. The Plan,,,,, Overwhelm the System! Get the Correct Message Out for a Win in November 2010! Listen to this video,, and then THINK about which party “Got their Message Out”! Turning an environmental disaster in to an economic one! Louisiana Gov. Bobby Jindal is taking his battle against the Obama administration’s six-month freeze on deepwater oil-and-gas drilling to court. Jindal and state Attorney General Buddy Caldwell on Sunday filed a legal brief in support of a Louisiana-based offshore services company that’s asking a federal judge to lift the ban, according to The Hill. President to SUE Arizona over its Immigration Enforcement Law! QUESTION? Judge Robert Bork to join Anti-Abortion Group with a detailed explanation scheduled for Wednesday. You can read the entire article here. Belarus' on the brink of an Energy Crisis. Once again Man-Made. Chinese Company purchases Nuclear Fuel maker here in the US. Where is the outrage, similar to that which occured during Dubai Ports? Our Special Guest will be Paul E. Valleley, MGen Retired, and we will speak on a myriad of Topics! Please listen live on WCBM680am from 5-6pm or at Restoreamericasmission.org and click to the main site and then click listen live. Kurdish Iranians react to Execution of 5 of their Party Members! Aung San Suu Kyi Myanmar's Democracy ICON Turned 65 In Confinement! Syria's President Bashar Assad: Flotilla Attack Eliminates Peace Deal, next one will inflame Conflict with Syria! 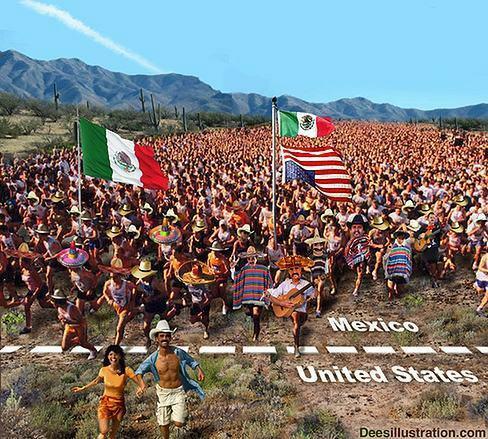 Thousands of acres of the Sonoran Desert closed to Americans! Cumulative Voting,,, Port Chester, N.Y., If your heritage is hispanic, you get 6 Votes, if not, Oh Well, just one vote!